State Route 604 begins at State Route 421 in Duffield, Virginia, and runs through Pattonsville, Blackwater and Jonesville on its way to the Tennessee state line. On the Virginia side, it is named “Doctor Andrew Jackson Osborne Highway”. Those familiar with the area will know that there are many Osbornes from there. So why was this particular Osborne’s name given to the highway? Andrew Jackson (Doc) Osborne (son of James Knox Polk Osborne and Elizabeth Robinette)451 was born February 14, 1869 in Blackwater, Lee County, Virginia, U.S.A.451, and died April 08, 1937 in Blackwater, Lee County, Virginia, U.S.A.451.He married Polly Fisher. He was a Blackwater, VA physician for more than 40 years. 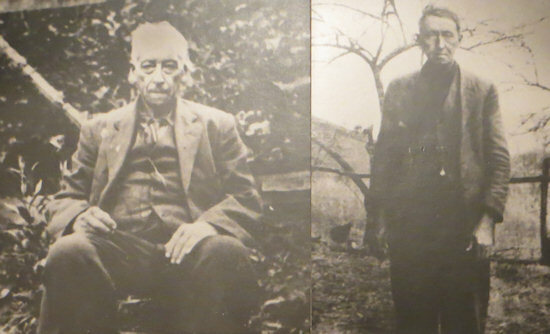 He trained under Dr. William ROBINETTE and made house calls on his horse ‘Old Joe’. He had a good treatment record for the flu epidemic of 1917-18. He was a Mason, Odd Fellow, and member of the Blackwater Lick (Big Door) Church. He served three months in the Atlanta penitentiary for prescribing morphine to a Mr. HOBBS; he was turned in by Mr. ELY. He was born on the Caleb Hurd Farm. 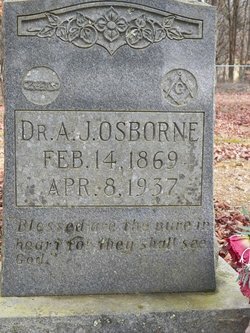 People would walk for miles to visit his (Dr. AJ Osborne’s) medicine house and he would also travel on horseback to see patients long distances away. It was said he often slept on that horse’s back. When he reached the medicine house, the horse would nudge the door to make enough noise to wake the doc. He never charged his patients – but those who could pay something, did. He was particularly distressed by the infant mortality rates in the mountains – and tragically ten of his own children died at birth or in early infancy. Doc Osborne ministered to the people all his life and was poor all his life. When he died in April 1937 the Rev Frank Phipps had to find a suit for him to be buried in. But the best website containing Dr. AJ Osborne’s story can be found at The Country Doctor and Natural Medicine Newsletter at http://www.jmcnaturalmedicine.com/dr-amjad-library-book-1.html. There’s simply too much information to put on my page. But I highly recommend reading it. He was quite a man. he was my great uncle. His sister Emma Osborne Webb Wade raised me,so I knew a lot about him. My father looked a lot like him. Olin Wade. I have a picture of him also. Sam, my Dad Billy Ray Osborne was the nephew of Henry Osborne. My dad told us his Uncle Henry was a great carpenter. He was my great grandpa. I am Gary DeWayne Osborne. My dad is Billy Ray Osborne-Jack Osborne’s brother. I have a son Gary DeWayne Osborne Jr. Who is the great great grandson of Doc Osborne.